WordPress is undoubtedly one of the best blogging platforms, and with the help of plugins, you could add unlimited functionalities and features. Today, I will be sharing few best WordPress SEO plugins that are completely free and will help you to optimize your blog for search engines. I will also share some of the alternatives and will suggest which SEO plugin you should stick to. One major problem with SEO plugins are, there are so many options available, and it creates confusion for newbies. Whenever you install a new plugin, make sure you read the complete description and use only which you need to use and make sense. I won’t recommend you to install all the plugins listed below until you know how to use them properly. In this best WordPress SEO plugins list, I will be recommending few of the best and free plugins that are available from official plugin repo. In upcoming articles, I will do a detailed write-up on how to use these below-mentioned SEO plugins. So let’s go on with our list here. You must have heard that WordPress is SEO friendly, and it’s not completely true. But, when you compare WordPress SEO with many other existing platforms, WordPress is far superior regarding search engine optimized platform, and with the help of many plugins, you could take the complete SEO of your WordPress blog to next level. On page SEO: This is where you will ensure your post is optimized for the particular keyword. You take care of Keyword placement, Image Alt tag, heading tags, Keyword density & LSI Keywords & few more things. Off-site SEO: This consists of generating backlinks to your blog and getting more social media sharing. Social Media part falls into both On-Site & off-site SEO. More or less, you need to ensure that your WordPress blog takes care of all these three parts & you will notice a great improvement in traffic to your blog. The plugins that I have listed below will let you optimize your blog in first two parameters of good SEO. So, let’s get on with this exclusive list of best SEO plugins for WordPress. Yoast SEO is so far one of the best SEO plugins for WordPress, as it offers a great deal of control of your blog SEO. You might have heard of many plugins like All in one SEO, headspace, and many others, but SEO by Yoast is far better than any of the plugin that you heard. Yoast is one of the well-known WordPress ninjas, and his work with this free plugin is incredible. You can control the over all no indexing/do indexing of your WordPress blog, and you can optimize the single post for search engines using this plugin. This is a complete SEO suite for WordPress. Starting from on site SEO, this plugin also let you optimize your WordPress posts for specific keywords. You can also generate a sitemap using Yoast SEO & submit it to Google search console or Bing webmaster tool. 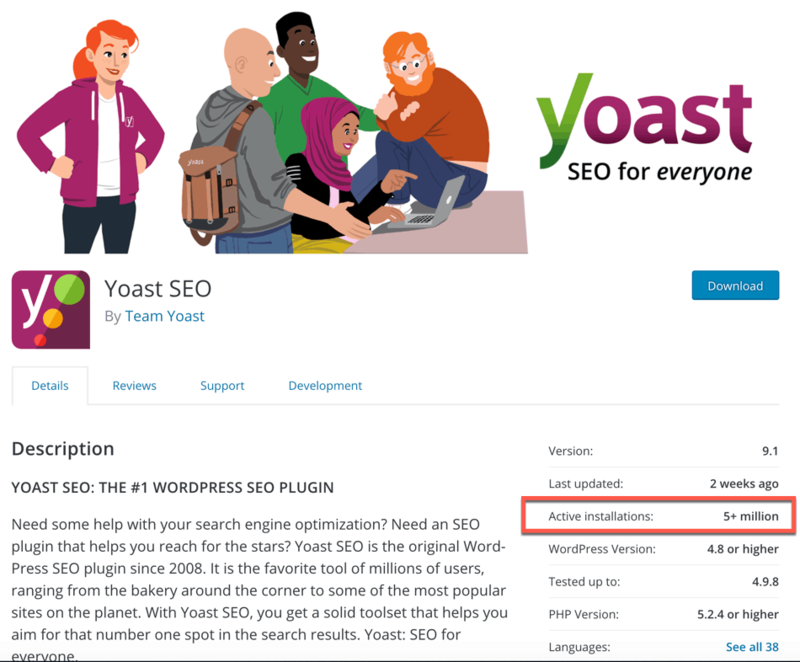 Configuring WordPress SEO by Yoast is quite technical, and a newbie might find it little difficult to understand every setting offered by this plugin. I recommend you to read this guide, which will help you to configure this plugin without any issues. SEMRUSH writing assistant helps in in improving the On page SEO score for your target keyword. This plugin adds a box in WordPress post editor section and helps you optimize your target keyword. This one works way different than Yoast SEO, as it scans the top 10 results for your target keyword and based on their ranking, it suggest a few things like LSI words to use, Target words and so on. This is an advanced plugin and for those who understand the effect of SEO on website traffic, should use this. You can use this plugin along with any other SEO plugins for WordPress. However, this plugin requires you to have an active license of SEMRUSH which you can grab from the below link. You must be wondering why a plugin that speeds up your blog is doing in a list of WordPress SEO plugins. The reason is: Google consider loading time of your page as a ranking factor. 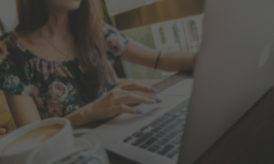 The plugin offers cache features at many levels (Page cache, browser cache, database cache), and you can quickly integrate it with any CDN network you use. The configuration might be tricky for first-timer, but once you have configured the plugin properly, you could see a drastic improvement on your blog loading speed. Dead links are bad for search engines, and this broken link checker plugin helps you to identify all dead links from your blog. It might not be very useful for a newly installed WordPress blog, but if you have an existing old WordPress blog, this plugin will simplify the process of identifying broken links and fix them with one click. Do you know you could get decent traffic from Image-based search engines? Search engines like Google and Bing rely on Alt text in images to identify and rank an image. A good practice is to use a meaningful name for uploading image. For example, even if I add a WordPress logo image in this post, I have renamed the image as WordPress-SEO-Plugin-jpeg. SEO friendly image plugin converts your image name as Alt text and thus put your image SEO on automation. You can also use WP Smush.it plugin along with this to compress the size of the image, and again it will help in faster loading of your WordPress blog. Have you noticed star rating in Google search? If you are running a review based WordPress blog, star rating will help you to get higher CTR in Google search. Using Author review plugin, you can quickly add star rating in Google search based on Schema.org. This SEO plugin is not for everyone, but for bloggers who do lots of reviews articles. These are many of few SEO plugins for WordPress, which will improve your overall WordPress blog SEO. Many premium SEO plugins are also available, but for now, let’s install these free once, and if you face any issues installing or configuring them, feel free to ask me via comments. If you wish to add few more WordPress SEO plugins, do let me know via comments. I think that the most important plugin is a caching one, like Total Cache. I have seen servers crumble before because they did not use one, it wasn’t visitors causing this, it was SE bots! I think it’s also important that you don’t have too many plugins on your blog as this will slow your whole site down as WP has to load certain things about every plugin on each pageload, even if they are de-activated. Does Author hreview really need to install and use? If you do review articles, yes it’s very handy. Yeah! @Harsh WordPress SEO by Yoast is one of the best plugin that give us fully optimization over our each single blog post. I optimize my blog posts using Yoast SEO. It’s the best ever. And BTW Thanks for the list. Hello Harsh, Is there any Comment box plugin which will give a best look to the comment box? For seo no doubt SEO by yoast, but while reading the post 1 thing came in my mind, does this W3 catch also solve the errors what we get in W3 validator, or just it works with Catch. If i am manage my site fully on page seo structured , but what is the major ranking factor is off page seo for site ranking in google first page . I used all the listed things last month but now I am working on a new project. I created a blog on wordpress for my my new project and I noticed that wordpress interface has changed a lot.. But the point is wordpress dashboard is not showing me plugin option. What should I do now?